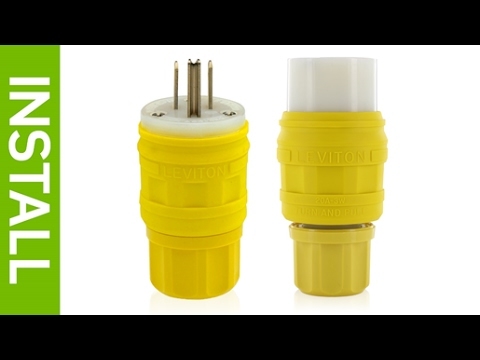 Leviton Wetguard® Polarized, industrial grade straight blade plug contains nickel-plated brass contacts for superior conductivity. It is current rated for 20-Amps and voltage rated for 250-Volt AC. 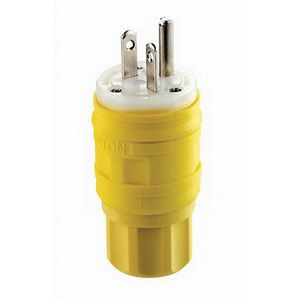 This 3-Pole, 3-Wire plug in yellow color, features EPTR rubber construction. It accommodates conductors of size ranging from 18 - 10-AWG. 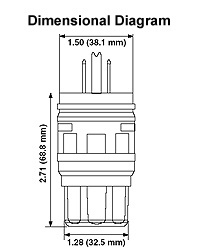 The plug is temperature rated for -40 to 60 deg C. Plug is UL listed, CSA/ANSI certified and meets NEMA standards.